MUNICH, April 20, 2018 — Sacro Cuore Don Calabria Hospital announced today clinicans successfully performed the first treatment of a patient using innovative radiosurgery technology by Brainlab. As the first facility in Italy to use Elements Spine SRS, Sacro Cuore Don Calabria Cancer Care Center is paving the way with new stereotactic treatment techniques for patients while upholding a high level of quality and safety. Planning radiosurgery for such complex areas of the body usually requires significant experience and time. 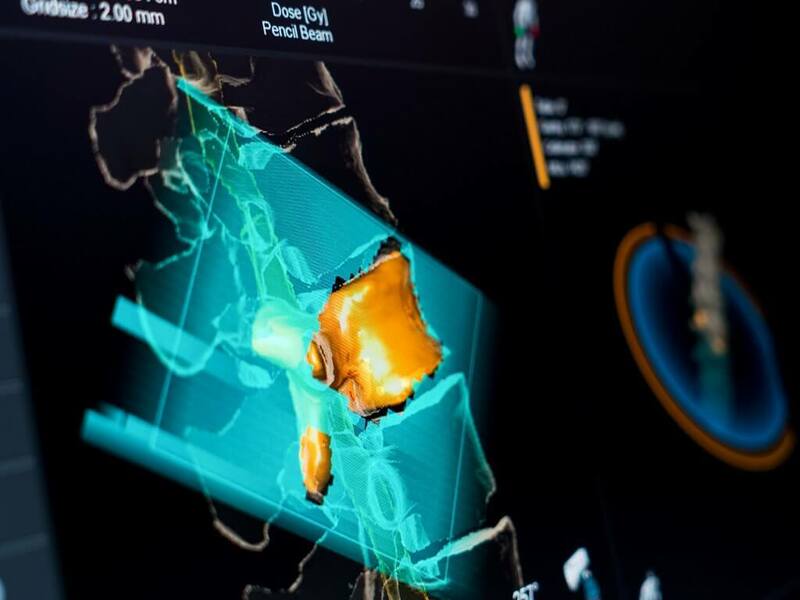 Elements Spine SRS, however, offers automatic planning with indication-specific outlining tools to plan a treatment in-line with the International Spine Consortium Guidelines. “Brainlab has developed various indication-specific software modules to provide clinicians workflows that are uniquely designed to help embrace radiosurgery strategies in the treatment of patients with brain and spinal tumors. As the first hospital in Italy to utilize Elements Spine SRS together with Brainlab ExacTrac® patient positioning and monitoring system, the Cancer Care Center at Sacro Cuore Don Calabria Hospital is at the forefront of treating patients with advanced technology while maintaining high quality and safety standards,” said Stefan Vilsmeier, President and CEO of Brainlab. Brainlab ExacTrac patient positioning and monitoring complements Elements Spine SRS to help clinicians deliver fast, precise image guided radiation therapy (IGRT), maintain the accuracy of the procedure and serve as a safeguard so that the radiosurgery treatment is being delivered as prescribed by the cancer treatment team.